Last week Dave and Marty completed the first round of brewing. 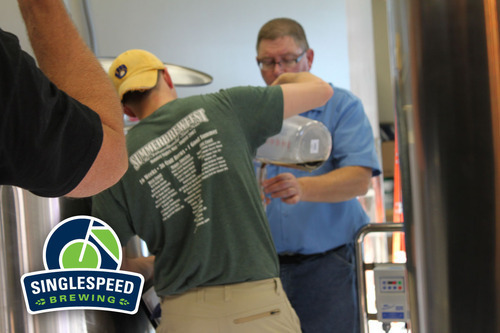 Dave from Premier Stainless Systems was also on-site to assist with the final tune-ups to the brewing equipment and to help brew a couple batches. 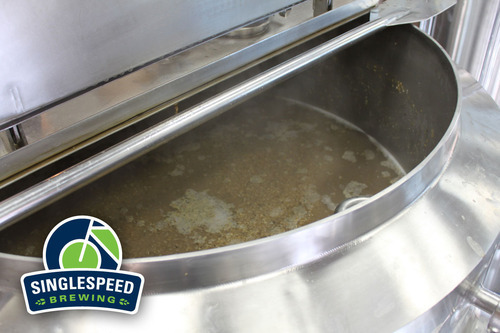 The first beer brewed at SingleSpeed Brewing was a Black IPA; the mashing is pictured below. In regards to construction, there are still some loose ends, but it is defiantly on the home stretch. 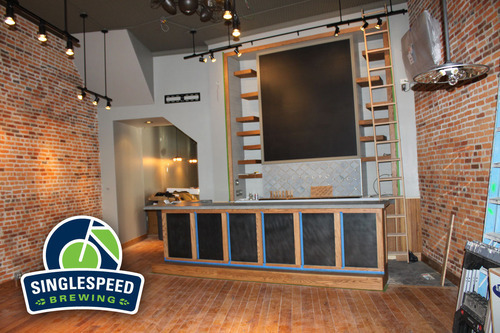 As for an open date… once the wort turns into beer the doors will be open!